The National Bank of Ethiopia (NBE) is injecting an additional 206 million Br into the economy. To print the notes, the Bank approached international firms to vie and print two denominations - 50 Br and 100 Br - according to sources close to the case. The value of the to be printed cash is five times lower than what the Bank has printed previously. The bank will print 187 million Br in 100 Br notes and 19.6 million Br in 50 Br denominations. The bid calls for Free on Board (FoB), an arrangement that obliges the seller to deliver the goods at its own cost via a specific route designated by the buyer. Normally, cash notes are transported by the national carrier, Ethiopian Airlines, and printed in countries where the airline has direct flight connections. Francois, Charles Oberthur Fiduciaire (FCOF) from France, Germany's Hermann Giesecke & Alphonse Devrient and De La Rue of Britain are among the companies that have a track record for bidding to print the nation's currencies for the central bank. The currency will be injected into the economy, which has a broad money supply of 752.1 billion Br in the first quarter of this fiscal year. The supply shows a 24.9pc growth over the corresponding quarter last fiscal year. The increase in the broad money supply was attributed to a 21.6pc growth in domestic credit and a 22.5pc expansion in Net Foreign Assets, a metric used to assess the indebtedness of a particular country. The growth in domestic credit was driven by a 22.1pc upsurge in credit to the non-federal sector and 7.3pc credit to the central government. 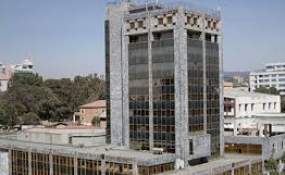 The government's measure to raise Commercial Bank of Ethiopia's (CBE) capital by issuing non-interest bearing bonds attributed to the expansion of credit to the central government. The cash will not affect the economy if it is printed to replace worn out cash, according to Alemayehu Geda (Prof.), a macroeconomist and university lecturer at Addis Abeba University's Faculty of Business & Economics. "But it will have inflationary pressure, if it is handed out as credit to the government," Alemayehu told Fortune. Last month inflation stood at 10.9pc, lower than the 14.4pc average rate of the past fiscal year. A decade ago the broad money supply was 69.9 billion Br, which is over 10-fold lower than the current level. In the last fiscal year, the government targeted to control growth in the money base to 13pc. However, broad money growth has reached 24.9pc, according to the International Monetary Fund (IMF). "The supply grew owing to strong credit dynamism," reads IMF's report. Alemayehu also recommends the government print higher denominations such as 500 Br and 1,000 Br, as the existing notes are worn out given that the inflation rate in the economy. "Previously, the one Birr note was deteriorating," said Alemayehu. "Now it is common to see worn out 10 Br and 50 Br notes." Yinager Dessie (PhD), governor of the National Bank, did not respond to the phone call and text message from Fortunebefore the paper went to print.